In a previous post I mentioned how I’m not a big fan of eating fruit and I think that comes from being forced to eat it as a child by my mother. One of the things people love about visiting Colombia is that you can find amazing fruit there, papaya, mangoes, granadilla, passion fruit, all kinds of different types of exotic fruit and they just won’t shut up about it. I can honestly take it or leave it and if my fruit is not served with lots of whipped cream or in a delicious cake, I’m not eating it, unless it’s blended in a green smoothie or served in a granola parfait like the one we’re making today. So, of course I have to make healthy choices and not serve my fruit with whipped cream every time I eat it. The solution is simple and I just substitute it with some plain Greek yogurt, a little bit of honey and crunchy granola. I usually just buy my granola because it’s faster and easier for me to get, but if you love the one you make at home, then that’s even better. 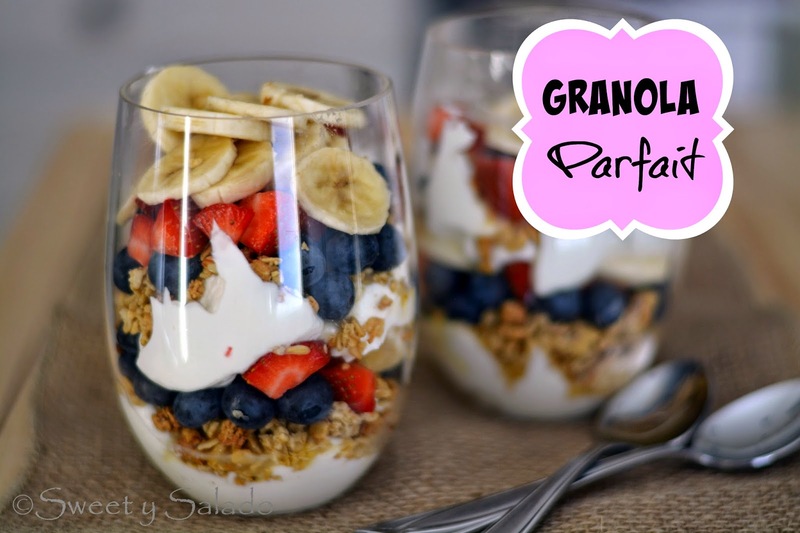 There’s really no science in making this delicious granola parfait, just mix and serve for a light breakfast or a snack in between meals. 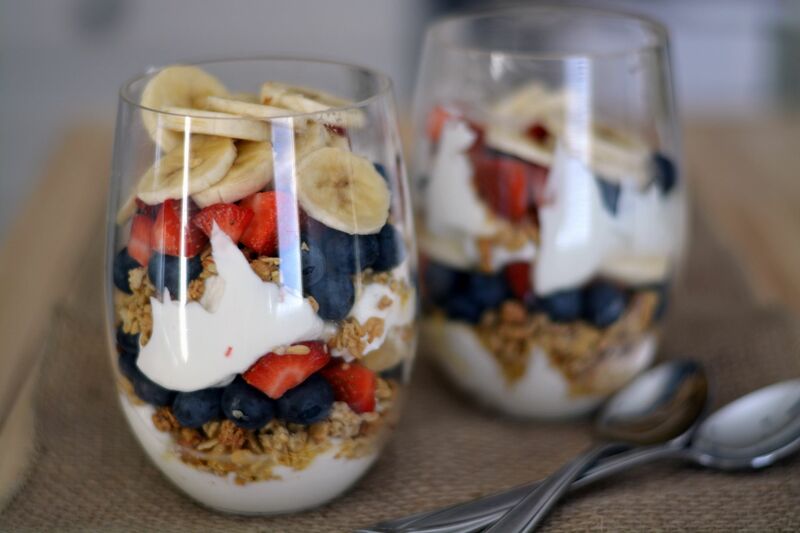 Assemble your parfait by serving each ingredient in two layers. 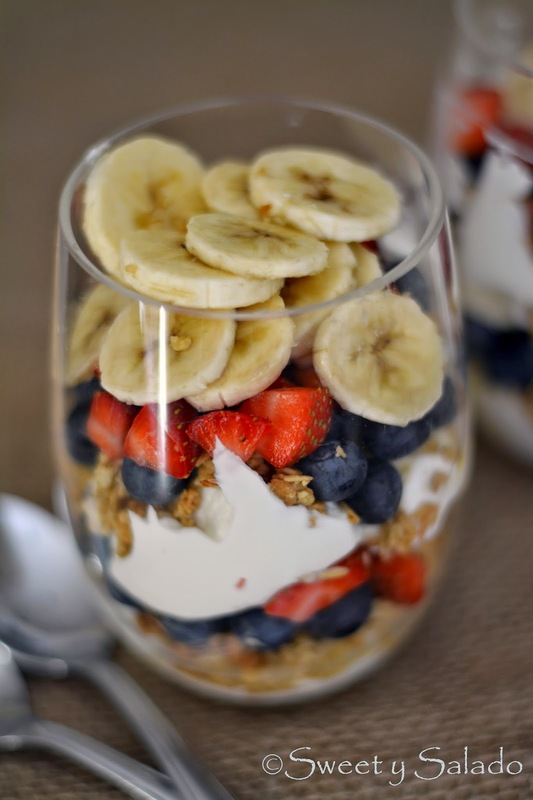 Start with half the amount of yogurt, honey, granola, blueberries, strawberries and banana. Repeat to make a second layer and serve.